One of the great aids to help you choose the right real estate in Puerto Vallarta and Riviera Nayarit for you and your family is to take part in Try and Buy Real Estate programs. Try and Buy programs will enable you to visit the properties that you are interested in purchasing in a foreign land at subsidized prices. 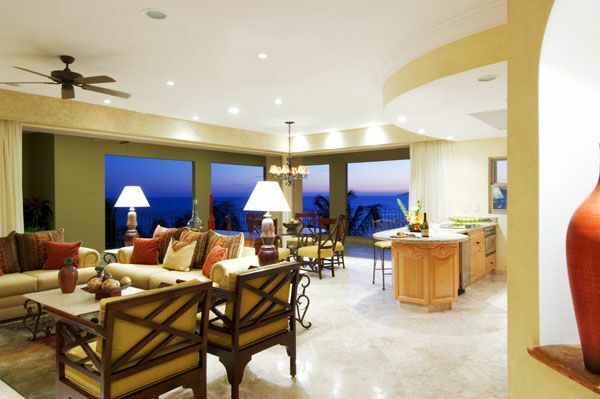 In that way, the expenses involved in purchasing property in Puerto Vallarta and Riviera Nayarit are reduced greatly. Who is Suited for the Try and Buy Program? This real estate try and buy program is designed for those people who are genuinely interested in purchasing a luxury fraction in one of the Villa La Estancia Residences or full ownership. The idea is that you have probably read all about the properties, and perhaps even spoken to a sales agent to spark your interest. The Villa La Estancia Residences Try and Buy Discovery Program will provide 4 nights accommodation at one of our resorts. The cost of your accommodations will be substantially discounted, however, the price of the package vary depending on the season and is subject to availability. Up to 6 people are allowed in a Two Bedroom Villa. There are also 3 Bedroom Villas and Oceanfront Villas available. As there is a limited supply of villas at this promotional price, they are only available on a first come first serve basis. There are some rules that apply to be eligible for this try and buy real estate privilege. You must be 30 years of age or older, fully employed or retired and have an annual household income greater than $100,000 USD. Travel costs to and from Villa La Estancia in Nuevo Vallarta, Riviera Nayarit are at your own expense. You must attend a presentation and tour of the property. This presentation is educational in nature and will allow you to understand our Real Estate product and Villa La Estancia Lifestyle. If you do not participate in the discovery presentation, Villa La Estancia will charge your credit card an additional $250 USD per night for your visit. There is a specific request form that must be completely filled out. Click here . The villas cannot be reserved more than 45 days prior to your visit. Your reserved villa must be paid in full with a major credit card before receiving a confirmed reservation. For more information about real estate in Puerto Vallarta and Riviera Nayarit or to clarify any details, please contact Nilo Lucas , Sales Director at Villa La Estancia Residences.